The 2019 Ford Figo facelift gets visual upgrades, new features, and new engine options over the predecessor, and is all set to be launched later this week. Ford India has pulled the wraps off the 2019 Figo ahead of its launch on March 15, 2019. The Ford Figo Facelift gets a bunch of upgrades over the predecessor that was first launched in 2015. The Figo gets cosmetic changes, new engine options and a host of new features as well for the facelifted model. Ford will be introducing the new model on the mobile dating app - Tinder, a move aimed to connect the hatchback with the target audience - young customers. 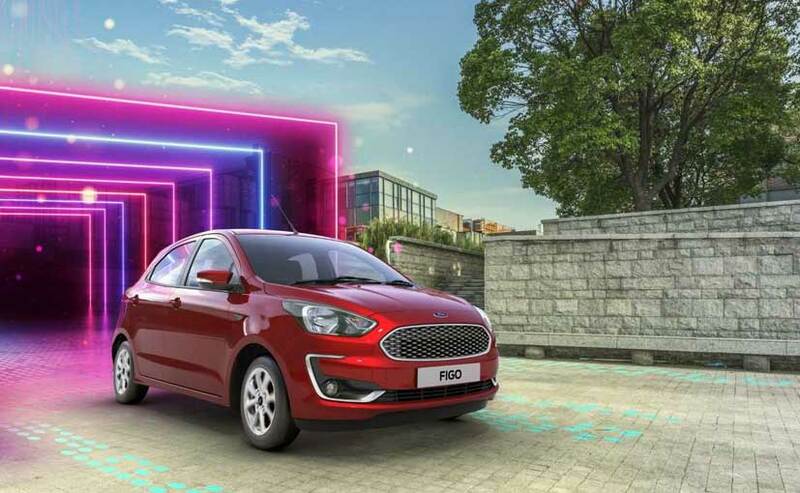 Speaking on the launch of the new Figo facelift, Ford India, Vice President - Marketing, Rahul Gautam said, "The New Figo is made for those who don't follow the crowd and are smart to make their own choices. Our association with Tinder not only communicates what Figo stands for but also reach the target audience in most effective, fun and engaging manner." In-line with the leaked images we've seen, the 2019 Ford Figo facelift sports a revamped front sporting a new grille and bumper complete with the C-shaped bezels around the fog lamps. The alloy wheels remain the same, while the rear will get a revised bumper as well along with tweaked taillights. Inside, the cabin is expected to get a revised dashboard along with the new floating touchscreen infotainment system that supports SYNC3, Apple CarPlay and Android Auto. Engine options haven't been revealed yet but the Ford Figo facelift is expected to share its engines with the new Ford Freestyle. This includes the new 1.2-litre Dragon series petrol along with the tried and tested 1.5-litre TDCi diesel mill. Transmission options will include a 5-speed manual for both engines. The 1.5-litr Ti-VCT petrol is likely to be on offer as well paired with a dual-clutch automatic transmission. Ford India launched the older generation Figo hatchback in India in 2010, which was a turnaround product for the automaker. The company over 320,000 Figo owners in the country, which has contributed immensely to Ford's over one million customers in India. Complete details on the Figo facelift will be available on March 15. Keep watching this space for all the details.